The route is not marked by special numbers, only by usual numbers - the numbers are listed below in the description of cycle paths along the route. 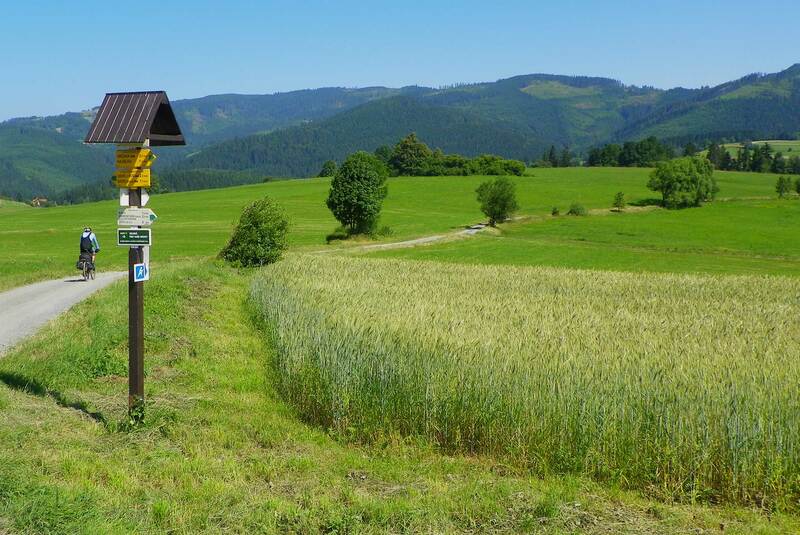 On the Nice views route, as its name implies, you can enjoy the nice views of the Těšínské Beskydy surroundings. In the case of clear weather and good visibility you can see the Slovak Tatra and Fatra mountains too. This is a more challenging route with a length of 69.9 kilometers, which is primarily aimed for the more efficient cyclists on mountain bikes. The route goes along the Czech side of the Euroregion Těšín Silesia on marked cycle paths Regiotour no. 56, 561, 6080, 6081, 6082, 6084 and 6086. The route begins in Jablunkov, through which goes a long-distance Greenways route: Kraków - Moravia - Wien.